Today, home intercom systems include iPod connectivity, video options, and door answering capabilities. Technologically advance home intercom systems have not been rendered obsolete by cell phones. It still makes sense in situations with employees, health care providers, children or the elderly to have a residential home intercom. With a system in place, you will easily be able to locate or relay a message to someone within your home or on your property with the push of a button. Therefore, home intercom stations placed throughout a property allow residents/employees to communicate without wandering from room to room. Residential home intercoms can be placed in every room of the home, property and garage for maximum communication. Additionally, the role a home intercom system plays in home security is an important consideration. Door video entry systems are a great way to add protection without an obtrusive system in place. 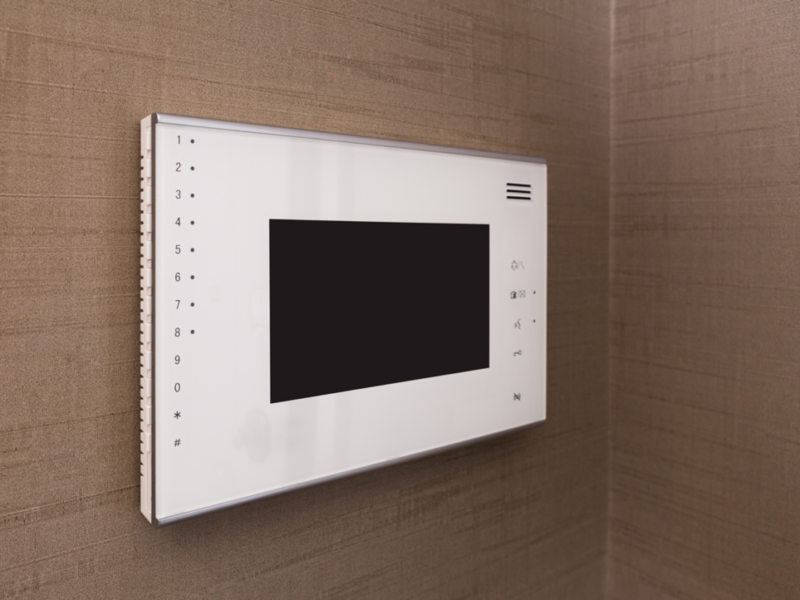 Residential home intercom systems options range from internal communications within the home to pre-screening visitors before allowing them inside. Some home intercom options and solutions are listed below. Today’s systems offer the latest innovations like iPod connectivity, video options, and door answering capabilities.